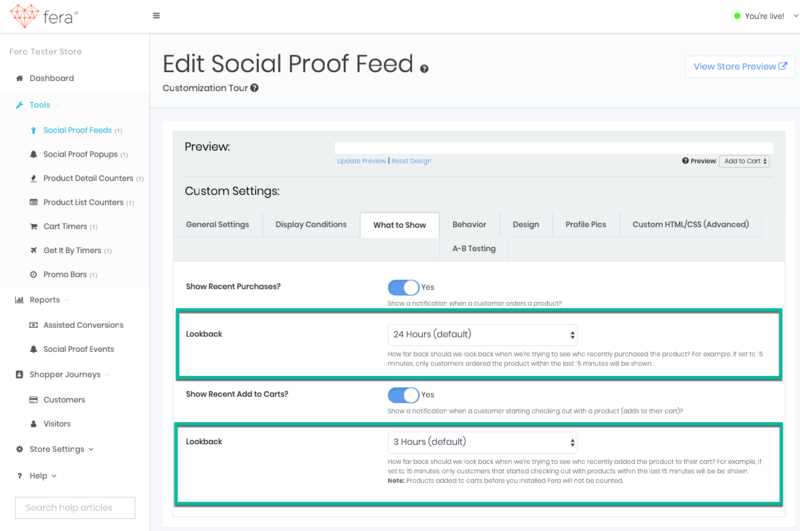 We’ve added 4 new options that you can configure for your Social Proof Feed Skill and the Product Detail Counters Skill out of the box (without custom coding). If yes then the system will use the customer’s first name whenever possible (such as when the customer is logged in or provided their name with their order). If your store values anonymity then you might want to turn this feature off. Show Notification For How Long? How many seconds should each notification show for? For example, if you entered “5” and there are 2 social proof notifications to show to the user, then the total display time will be 10 seconds (before going back to the default display). Within the Skills section → Social Proof Feeds → What to Show and Skills section → Product Detail Counters → Customization, we added the ability to set a custom lookback period. 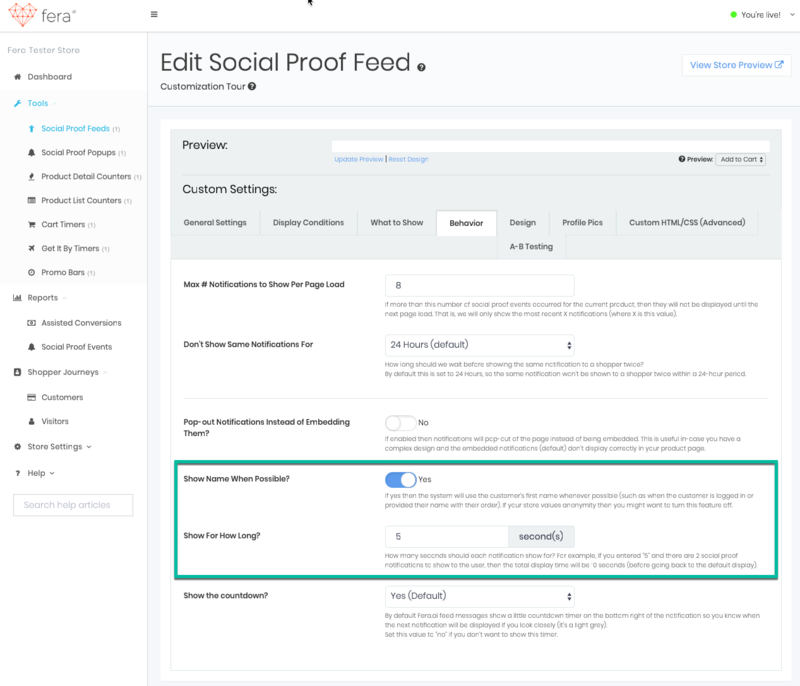 That is, you can now decide how far back to show a customer’s social proof. For example, if you set the lookback period to 15 minutes then only customers that started checking out with products within the last 15 minutes will be be shown. As usual, Fera.ai is completely customizable via the HTML templates and CSS access you get (plus our robust API). The possibilities are endless! Hello can I create my on fake Social events Our your skills working only with Real events? No today that is not possible with Banana Stand. Sorry!